I just realized I still have my gorgeous, red ballerina flats patiently waiting for some styling suggestions! But looking outside, and seeing the rain, I’d rather create a great fall look with my Lombok ballerina flats, even though I promised you guys differently in my post ‘City Essentials‘. Time to bring on the comfy sweaters and big scarfs! 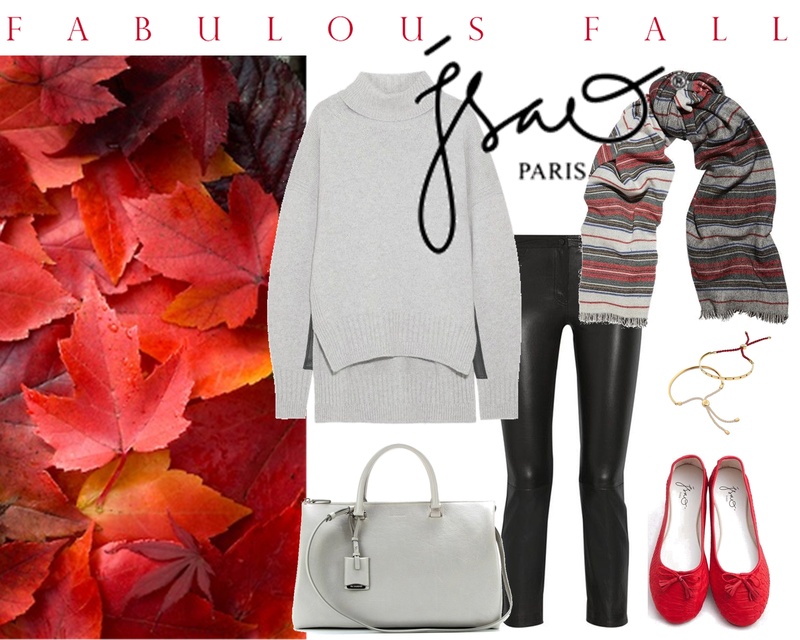 Already having a pair of red leather Isao Paris flats (get yours at http://www.isaoparis.com!) this will be on my shopping list for fall… a Jil Sander leather trimmed cashmere oversized sweater, The Row cropped leather pants, Isabel Marant’s big chunky, striped scarf, a Jil Sander bag and some Monica Vinader’s cute friendship bracelets.